News India,Incredible India,Taj Mahal, Agra,Jaipur,Old Delhi, Culture India ! News INDIA : Qutab Minar, Delhi...Capital of Incredible INDIA, 2008! News India, India News Flash: Amazing Windows to Incredible India - QUTAB MINAR, 2008, Amazing India ! Qutub Minar, is the world's tallest brick and stone minaret in the world, in Delhi, India at a height of 72.5 metres(238 feet). Inspired by the Minaret of Jam in Afganistan, India's first Muslim ruler, Qutb-ud-din Aibak started the construction in 1193 and the topmost storey of the minaret was completed in 1386 by Firuz Shah Tughluq. 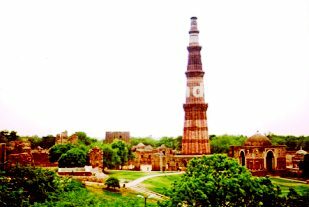 The Qutab Minar is one of the earliest examples of Indo-Islamic architecture. It is surrounded by several other ancient and medieval structures and ruins, collectively known as 'Qutab complex'. The complex is now listed as UNESCO World Heritage Site and is one of the most popular tourist destinations in Delhi. 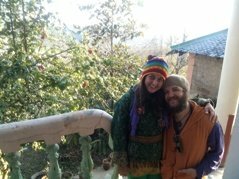 For more news on Dharamsala INDIA....CLICK HERE !! 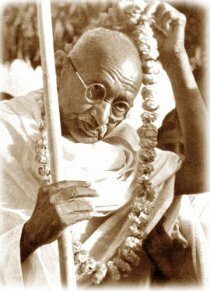 News India : Remebering Mahatma Gandhi - 2009!, 30th January, 2009, India News ! News India : National Leprosy Day - 2009!, 30th January, 2009, India News ! We wish everyone a Good Health care on national Leprosy Day. Free medicines will be distributed all the country at the Local hospitals as Leprosy is curable with correct and timely treatment. News India : Magh Asthami GUPT Navratras - 2009!, 29th January, 2009, India News ! 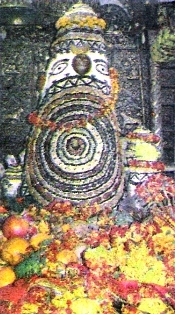 The Gupt Navratras on the Magh Asthami at the famous and ancient Fire Temple of Jawalamukhi has started with feeding the Panch-Kanyas (Young girls), reciting mantras to Lord Ganesha, Jawala Mataji,Chandi & Durga Mataji, Bhairav Baba and other dieties for the Peace and well being of mankind. News India : Himachal Republic Day - 2009!, 28th January, 2009, India News ! The Hon. 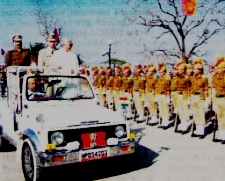 Governor of Himachal, Smt. Prabha Rau graced the Republic Day celebration in Himachal Pradesh and wished the people a bright future, peace and prosperity. 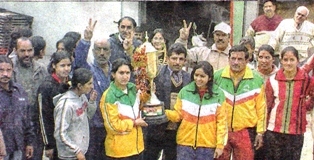 Girls National Junior Kabaddi Award, Himachal Pradesh. 'Winds of Change'.. " A Healthy Body and a Healthy Mind ", Even though we still need to do a lot in Sports, it is encouraging to see all States putting more emphasis on developing physical toning and sports infrastructure. 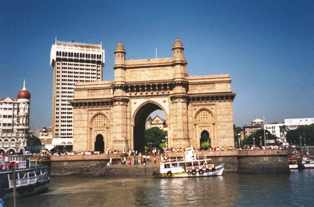 2010..the Commonwealth Games to be held in Delhi should give a good boost to promoting Sports Tourism in India. India News..NDTV AWARDS, 2008 ! Media showed a high sensitivity and responsibility by giving away the best 'Indian of the Year Award 2008'..to all the Martyrs and all those who rose above themselves in performing their duites and protecting innocent lives in India on 26/11 Mumbai terror attacks. Celebrations of Makar Sankranti 2009 at all Ancient Goddess Shakti and Shiva Temples of Himachal Pradesh ! News India : Vibrant Gujrat - 2009!, 14th January, 2009, India News ! The festivities starts with the herald of springtime. 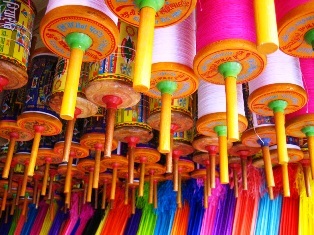 Breezy skies fill up with vibrant colors of kites in Gujrat state of India welcoming Mother Earth..winter gone and the spring and summer in the next corner. A Festival of Kites brings all communities to Peace and Harmony in India and the Global Family. The North India vibrates with 'Makar Sankranti' in Uttar Pradesh, Bihar, Himachal Pradesh, Karnataka, West Bengal and all over India..Holy baths and Prayers for the new Harvest. The Celebration of 'Lohri' Festival in Punjab with Fireworks, Singing and Dancing to welcome the harvest and Summer. The South of India in Tamilnadu State the 'Pongal' Festival highlights its people in celebration of the Harvest and welcoming the New Year, bidding farewell to old and ushering in the New Hope and aspirations of India. News India : 'Guru Parv' - 2009!, 04th January, 2009, India News ! 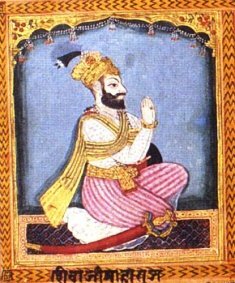 'Guru Parv', the birth anniversary of Shri Guru Govind Singhji, the 10th Guru of the Sikh Community was celebrated all over India and the world. We wish everyone Peace & Harmony around the world. Technology and Peace Together for Progress, 2009 ! News India : VISION INDIA - 2009!, 03rd January, 2009, India News ! While the eternal image of India will always remind one of Bullock carts and girls carrying water pitchers, it would be great if we could envisage an India, where there would be, one day, the facility of at least, one small tap in every rural home in the country. It would make the world of our 'Nanhi Ladlis' (little girls), full of play and study as they would no longer need to walk long distances to fill their pitchers ! 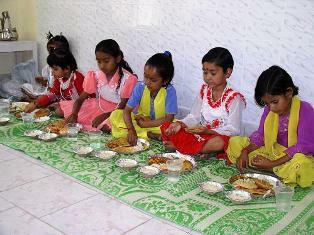 Dharamsala Students Celebrating New Year with the 'Satya-Narayan Katha, 2009 ! News India : HAPPY NEW YEAR , 2009!, 01st January, 2009, India News !
" Wishing our valued 'surfers' all over the Globe..A Happy and Peaceful 2009 !" News India : A Harvest of Joy ! , 2009!, 02nd January, 2009, India News !
" A Harvest of Joy for Himachal "..CM Prof. PK Dhumal. On the occasion of the New Year, 2009, the Govt. of Himachal Pradesh has launched an Agricultural Scheme, ' Pandit Deen Dayal Upadhaya Kisan and Baghvan Samidhri Yojna', giving special incentives to Poly Houses, Agriculturists, Farmers and Fruit Growers in the Himalayan State.
" End of the Year...A NEW BEGINNING !! " News India : Year-End Resolve , 2008!, 29th December, 2008, India News ! Children, in our lives always bring in 'new beginnings'of hope and understanding. What we learn in our childhood becomes a way of life tomorrow. This was years ago. As a child while I could read an English Enid Blyton book in one hour, I could not write a correct Hindi sentence even in two hours ! I tried, my parents tried..but, Hindi seemed beyond me. Then one day, my parents took me for a late night movie show. The next day, while I could not understand anything of the movie, I was to everybody's wonder singing all the songs of the movies correctly and in full tune. My father immediately enrolled me in the music school in Lucknow for Kathak dance and vocal classical singing. 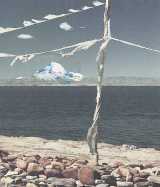 I had absolutely no problem in the rendering of the music or understanding the soft naunces of classical music. I improved radically in my Hindi and was no longer afraid of the alphabets. As I grew up, I used this practice with my own children in making them understand and study any tough subjects by using their passion for any hobby. My children love animals and today, are very 'environment conscious' young citizens as at a young age, I taught them to co-relate animals to environment. All of us have different passions and love for living. What seems difficult for some, might be easy for others. This coming year resolve yourself to understanding and appreciating your child, your friends and your family. Try to build up a better relationship and help people to reach their goals by co-relating their passions with what they find difficult to do. It will go a long way in creating a 'Better World' ! Who can deny "true learning is only where the heart is !" News India : Himalayan Route..A Reality , 2008!, 28th December, 2008, India News ! The Government of Himachal Pradesh is trying to open the ancient pilgrimage route to Kailash Mansarovar Lake, with the cooperation of the Chinese authorities and the Indian Government. This will open a new chapter for Trade and Tourism in the Himalayan State in the near future ! 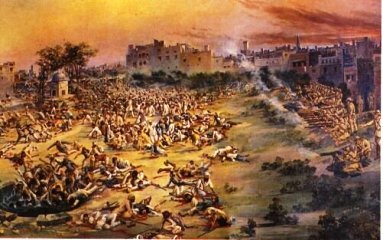 News India : The Jallianwala Bagh..A Freedom Movement !, 28th December, 2008, India News ! The Govt. of India with the Tourism Ministry, recognised the valour of the Matryrs during the Jallianwala Bagh Incident of 1919, as a freedom movement and restored this historic Memorial in Amritsar, Punjab, INDIA. 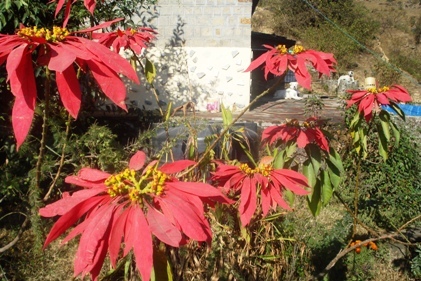 Wishing XMAS Colors of Santa to ALL, 2008..Vidya Niwas, Himalayan Home, Dharamsala, INDIA ! News India : Himalayan XMAS , 2008!, 25th December, 2008, India News ! Governor Smt. Prabha Rau and CM Prof. PK Dhumal of Himachal Pradesh have greeted the people on Christmas. Peace and Harmony can be achieved by following the path of Love & Compassion as preached by Lord JESUS..Smt. Prabha Rau. The Constitution of India gives people the right to follow any religion, while wishing happiness and prosperity to ALL the Chief Minister urged the children and people of all faiths in Himachal to be together in this festivity and the Spirit of the Festival. INDIA.."In my Pride is the Strength of the Mighty Himalayas!" 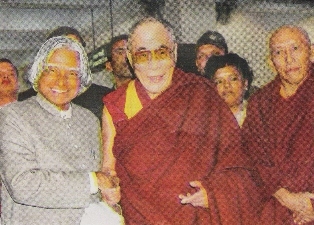 News India : The Human Spirit Conquers - Mumbai, 2008!, 23rd December, 2008, India News ! Every time any disaster occurs in any part of INDIA, we pray and wish together. We promise ourselves to be united in our joys and sorrows. On 21st December when the TAJ & the OBEROI Hotels reopened within three weeks of the untimely human tragedy, we are once again 'together' in this Victory of the Human Spirit ! News India : ASI to protect Temples in the Himachal Himalayas , 2008!, 18 December, 2008, India News ! The Archeological Survey of India will protect and conserve the ancient temples of the Himalayan state of Himachal Pradesh in Kangra, Chamba, Shimla, Spiti, Kinnaur and Lahual Valleys. News India : 'Kisan Clubs' in the Himalayas , 2008!, 17 December, 2008, India News ! The Himalayan state of Himachal Pradesh has opened 22 'Kisan Clubs' by NABARD and the local cooperative bank which will help the local poor farmers the latest technology in agriculture and horticulture and will aid them by issue of Kisan Credit cards..a financial support and techniques. 'Poly Houses' will be constructed for them and the use of local bamboos and natural products will be motivated and encouraged in the state. News India : Victory for Cricket INDIA in Chennai , 2008!, 16 December, 2008, India News ! The first test of the two test series between India and England ended with a grand victory for INDIA Cricket..a blend of the mature and the learning young spirits, in Chennai, India. 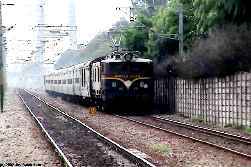 News India, JAN Shatabdi Express from UNA, Himachal Pradesh , 2008!, 15 December, 2008, India News ! The CM of Himachal Pradesh Prof. PK Dhumal flagged of the newly introduced 'Jan Shatabdi Express' train from Una to Delhi. This will give better accessibility to the lower parts of Himachal. News India, Election Blitz in 5 States, 2008!, 10 December, 2008, India News ! Bharatiya Janta Party - Madhya Pradesh & Chattisgarh. Indian National Congress - Delhi, Rajasthan & Mizoram. We wish all the newly elected Governments, much success in meeting the challenges of a growing economy and peace. Above all we wish them ..the vision of the young and the ability to live up to the Trust and Confidence which the Indian Voters have placed in them. **The Winter session of the Vidhan Sabha of Himachal Pradesh Government is starting in Dharamsala..the Winter Capital of the Himalayan State. 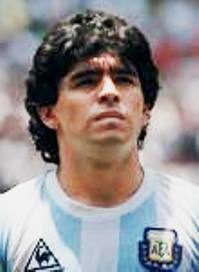 News India, India News Flash: KOLKATA..A visit by Diego Maradona !, 07 December, 2008, India News ! World Football Veteran..Diego Maradona visited the famous City of Joy..Kolkata, during his first visit to India to open a new Football School. He also visited the various Local Football Clubs. the highlight was his visit to Mother TERESA HOME..A compassion to his life and work in the world of Football. "If you shut the door to all errors, truth will be shut out ! "...Rabindranath Tagore. News India, India News Flash: Mumbai..A TRIBUTE !, 03 December, 2008, India News ! Mumbai..the Industrial Heart-Throb of India..Mumbai which we all have loved for its pulsating energy..Where the Devils and the Angels can laugh together..,Blessed by Lord 'Ganesha' born in the proud lap of the 'Himalayas'. 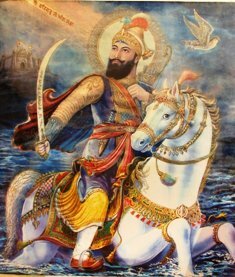 Which of us can forget the historical legends of the proud 'Maratha' spirit of the Great King 'Shivaji' ! It will always linger in our heart and soul. 'Mumbai' will move on..We have faith in the people, that they will find the strength within themselves to do what has to be done, because we are all part of this Incredible Nation - INDIA, which has so much to offer to the Global Community around the World. We pray for all those who suffered the 'Act of Violence' but, most of all we pray for each and everyone of US, to be able to find the GOD & PEACE within us !! News India, India News Flash:Khadi Utsav, Chamba (Himachal Pradesh) !, 05 December, 2008, India News ! 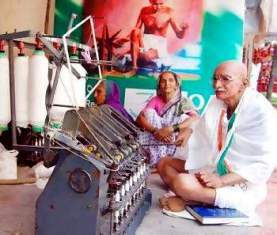 The Khadi UTSAV, 2008 is being held in the beautiful valley of Chamba in Himachal Pradesh to promote 'Khadi' the hand-woven fabric of India. News India, India News Flash: National Award for Handicap Welfare, 2008 !, 05 December, 2008, India News ! The Himalayan state of Himachal Pradesh, INDIA has been awarded the National Award for Handicap Welfare for promoting welfare schemes for the disabled and handicapped community.